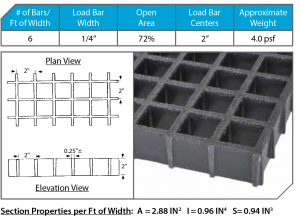 Fibergrate FRP Gratings is made of a good quality Fiberglass enable them to absorb loads. Each has covered with different kinds of resins that can resist to different kinds of chemicals. All these are designed to meet with different needs for different industrial and commercial requirements. 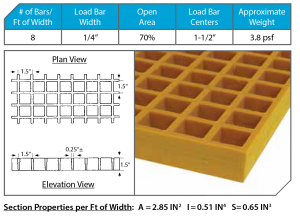 * Different types of resins and mesh patterns give different loading capacities. Please contact our sales engineers for more details. * All gratings were tested in accordance with the ANSI Standard: FRP Composites Grating Manual for Pultruded and Molded Grating and Stair Treads. Because FRP Gratings offer strength and resistance to chemical like Stainless at the lower cost, there has been an increasing demand for FRP gratings to replace stainless or metal gratings. 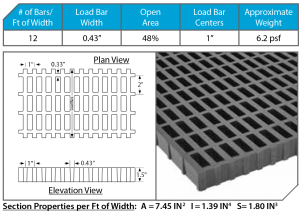 FRP gratings are also resilient that they never lose shape after bearing high load traffic or impact. 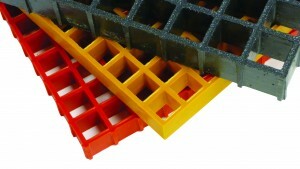 The surface of FRP gratings can also be made rough to increase safety. 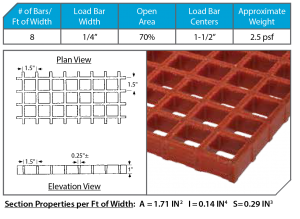 The light weight of FRP Gratings has made it easy to install and move. Vi-Corr :A superior vinyl ester resin developed for reliable performance in the toughest environments. It offers outstanding resistance to a wide range of highly corrosive situations, from caustic to acidic. FGI-AM :Improved food-grade isophthalic polyester resin system offers antimicrobial properties to inhibit the growth of bacteria on the surface of the composite to protect the product itself, along with the necessary corrosion resistance to meet the requirements of the food and beverage industry. Corvex :Improved isophthalic polyester resin system outperforms a number of competitive fiberglass and metal products and meets the requirements for corrosion resistance found in industrial, chemical processing and water/wastewater applications. XFR :This eXtra Fire Retardant vinyl ester resin is recommended for use where the fire potential is high. ELS :Extremely Low Smoke resin ideal for tunnel, offshore, mass transit and other confined space applications. ELS exhibits low ignitability, low smoke generation and extremely low smoke toxicity. Super Vi-Corr :Resin systems consists of more than 30 custom formulas engineered to provide corrosion control solutions in applications that are too severe for conventional FRP and other building materials. 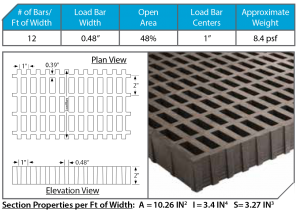 Meniscus Top : The concave surface of Fibergrate® meniscus top grating provides superior slip resistant footing in most environments including wet or oily conditions and is the standard surface for most Fibergrate molded gratings. 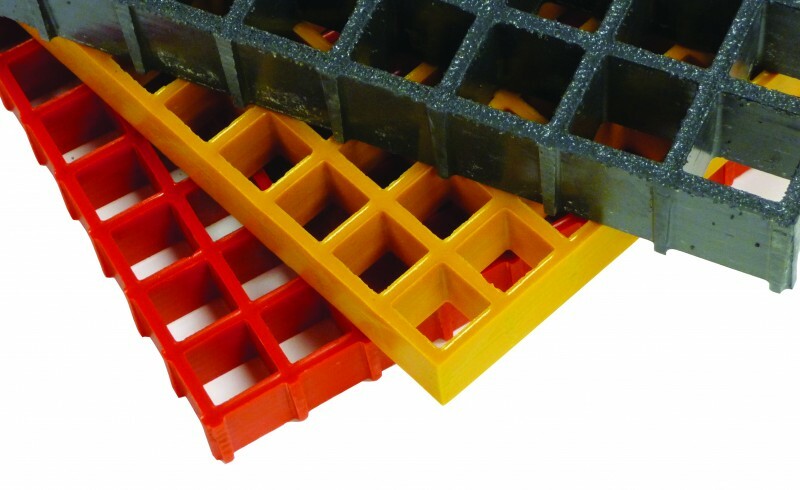 Integrally Applied Grit Top : The optional grip top of Fibergrate® grating has a quartz grit which is integrally applied, cured and sealed onto the surface providing excellent slip resistant footing. CONTACT US : CLIKE ! !